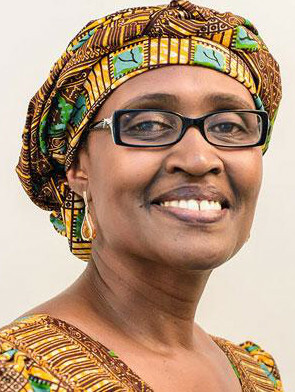 We all need, says Oxfam’s Winnie Byanyima, to stand in worldwide solidarity and demand an end to extreme inequality. So what do we do about inequality? Many prominent opinion-shapers in America today consider this the wrong question to ask. Inequality — the grand divide between the few and the many, the rising concentration of income and wealth — doesn’t much bother these movers and shakers. Poverty, they claim, does. This hands-off-the-rich stance even gets support from elite influentials who say they worry about inequality. Plenty of other influentials in politics, the media, and the charity world share this mainstream consensus. Any serious focus on wealth at the top, this perspective holds, only serves to distract us from reducing poverty at the bottom. The economic and political power of those at the top is making it virtually impossible to find the resources to do more at the bottom. Professionals in anti-poverty groups have by and large internalized this worldview. Foundations and lawmakers, they’ve learned over the years, do not look kindly on anti-poverty groups open to challenging privilege and power. But cracks in this don’t-worry-about-privilege united front have been growing — as that privilege has become steadily more pronounced. One particularly loud crack came two years ago when one of America’s most respected poverty-fighters, former U.S. Department of Health and Human Services assistant secretary Peter Edelman, released his book So Rich, So Poor. Another loud crack came this past January, just before the annual gathering of the global glitterati at the Swiss mountain resort of Davos. The world’s 85 richest billionaires, the respected anti-poverty charity Oxfam pointed out, now hold as much wealth as the 3.5 billion people in humanity’s poorer half. That shocking stat quickly went viral worldwide. Last week, Oxfam came back with more — but not just more stats. The charity unveiled a landmark new campaign that aims at nothing less than reframing the entire global political discourse around poverty and wealth. The stakes in this bid could hardly be higher. If Oxfam’s new Even It Up campaign succeeds, no one who wants to get taken seriously in global public policy circles will ever again get away with dismissing the danger that concentrated wealth poses to the poor — or anyone else. Oxfam has launched this new campaign with a 136-page report that explores that danger, with everything from dramatic new numbers — the combined wealth of the world’s top 85 billionaires is increasing at the rate of a half million dollars a minute — to moving personal narratives. The report, just as importantly, offers a wide-ranging guide to the sorts of steps that could, if put in play, leave the world a much more decent place. Oxfam’s broad global footprint has the potential to make its action recommendations much more than mere noble rhetoric. Oxfam’s broad global footprint has the potential to make these words much more than mere noble rhetoric. The 72-year-old organization has spread far beyond its original UK base and now has affiliates worldwide. Oxfam staff and volunteers work side by side with thousands of local charities in nearly 100 countries. The new Even It Up campaign, Oxfam officials explained last week, will initially unfold in 25 different nations, with each national effort working to build coalitions behind action recommendations in the new Even It Up report. Some of these recommendations urge support for initiatives already moving onto the global political center stage. The Even It Up campaign launch report, for instance, calls on governments to start taxing financial transactions and clamp down on tax havens that service grand fortunes. Oxfam’s recommendations also target the engine of inequality that the modern multinational corporation has become. Even It Up urges governments to steer procurement contracts to companies that pay their top executives no more than 20 times the pay that goes to their typical workers. The Oxfam Even It Up report comes accompanied by supporting commentary from an array of distinguished experts and world leaders. Oxfam is hoping to help nurture a citizen’s movement strong enough to challenge the world’s grandest fortunes and the myths that keep them growing. With the new Even It Up campaign, Oxfam isn’t just pitching pennies. It’s hoping to help nurture a citizen’s movement strong enough to challenge the world’s grandest fortunes and the myths that keep them growing.